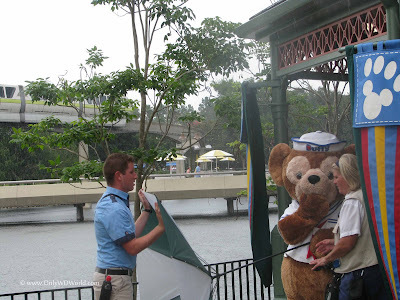 Duffy The Disney Bear is the current star of the World Showcase in Epcot. 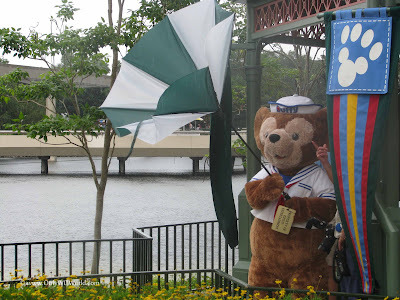 You can find Duffy Merchandise everywhere and you can even meet the adorable Duffy near the entrance to the World Showcase in Epcot. 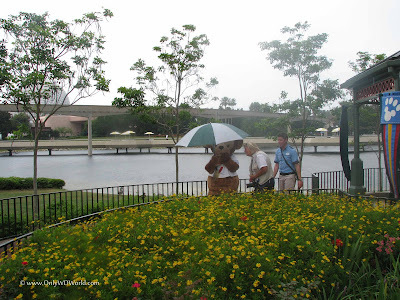 It was at the Duffy The Disney Bear Meet & Greet Location that some comedy ensued during a typical Florida afternoon rain. 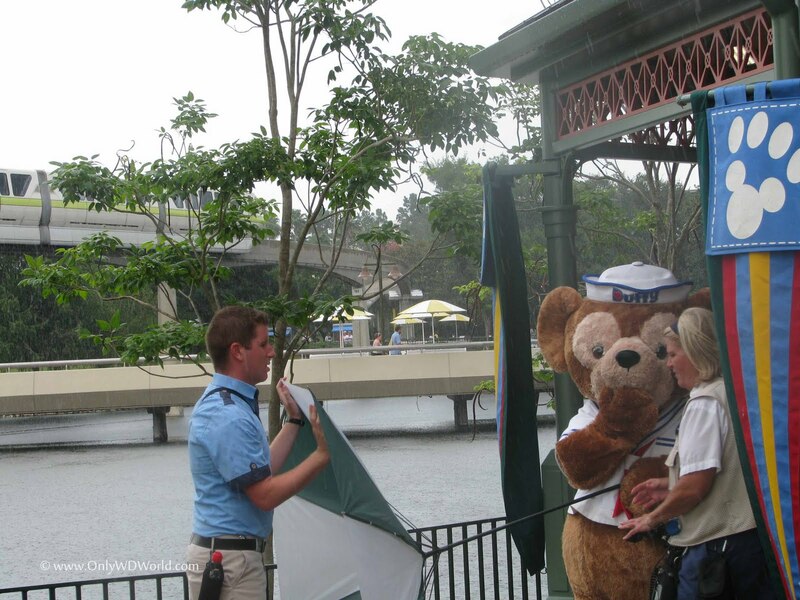 Duffy The Disney Bear was preparing to take a break from signing autographs and posing for pictures with his fans. Since the rains had begun he was handed an umbrella as pictured above for the trek through the rain. Just as Duffy went to open the umbrella, a gust of wind came along and turned the umbrella inside out as pictured. As you can see in the following series of pictures, Duffy and a Disney Cast Member struggle to get the umbrella back in the proper direction. 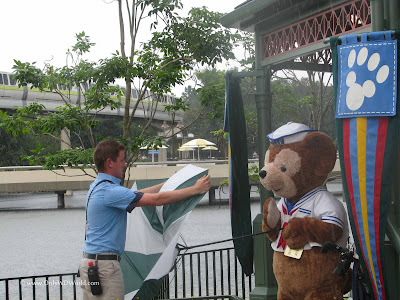 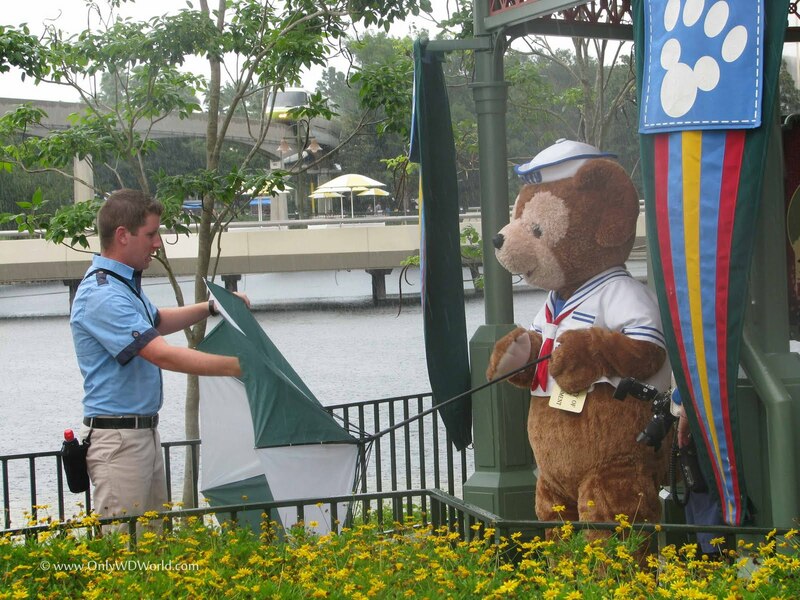 Duffy and the Disney World Cast Member work hard to get the umbrella fixed. 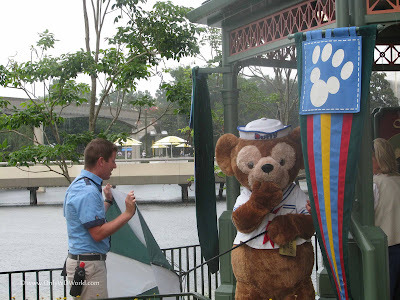 The smart Duffy stayed under the protection of the edge of the gazebo, while the Cast Member stood in the rain, getting quite wet. Once Duffy realized that people were watching, you can see the look of embarrassment. 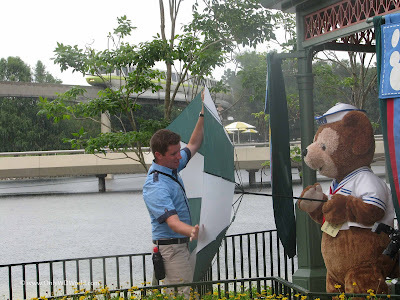 Finally they get the umbrella straightened out and Duffy can be on his way. 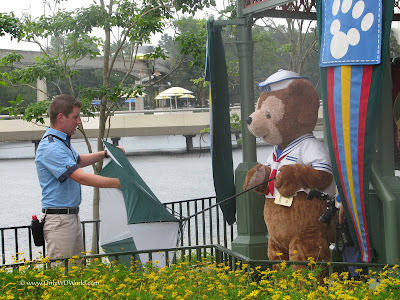 Not all of the comedy that you see at Disney World is staged. 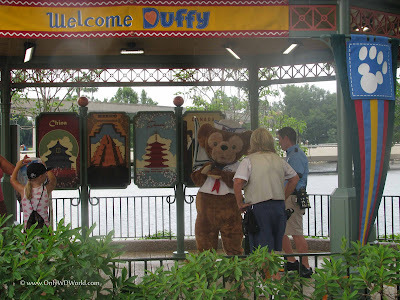 This scene with Duffy was hilarious, but Duffy weathered the storm and overcame the embarrassment to continue on his way. 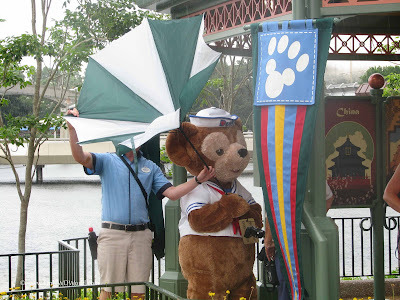 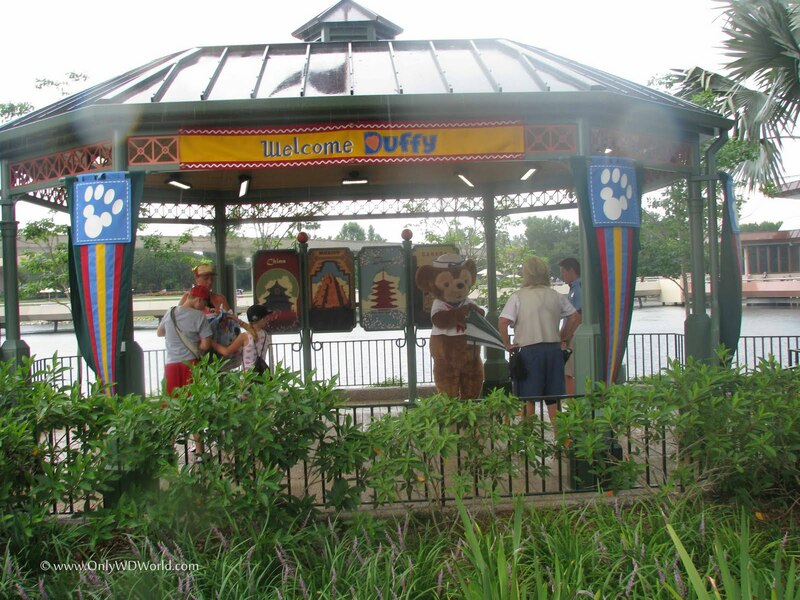 1 comments to "Duffy The Disney Bear Battles Umbrella At Epcot"